Our Brand Rockport 3/8 inch double cell Light Filtering Cellular Vertical is ideal for over any door, wide windows and room dividers. With a variety of stacking options and a sleek valance Our Brand Rockport Cellular Slider Vertical Shades can work in any room. This 3-8 inch double cell is matching the horizontal cousin that is available in a horizontal cellular blind. This product gives the maximum r-value of any cell fabric. Height 6" 7" 8" 9" 10" 11" 12" 13" 14" 15" 16" 17" 18" 19" 20" 21" 22" 23" 24" 25" 26" 27" 28" 29" 30" 31" 32" 33" 34" 35" 36" 37" 38" 39" 40" 41" 42" 43" 44" 45" 46" 47" 48" 49" 50" 51" 52" 53" 54" 55" 56" 57" 58" 59" 60" 61" 62" 63" 64" 65" 66" 67" 68" 69" 70" 71" 72" 73" 74" 75" 76" 77" 78" 79" 80" 81" 82" 83" 84" 85" 86" 87" 88" 89" 90" 91" 92" 93" 94" 95" 96" 97" 98" 99" 100" 101" 102" 103" 104" 105" 106" 107" 108" 0 1/8" 1/4" 3/8" 1/2" 5/8" 3/4" 7/8"
Every Our Brand Rockport slider is supplied with a stylish aluminum valance in matching colors. 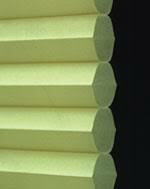 This is the perfect alternative to the old fashion vertical blind. Maximum r-value which will help with those utilities bills. Our Brand Cellular Slider Shades are available with3/4 single honeycomb or 3/8 double honeycomb cellular fabrics for a variety of energy efficient color choices and rail colors. 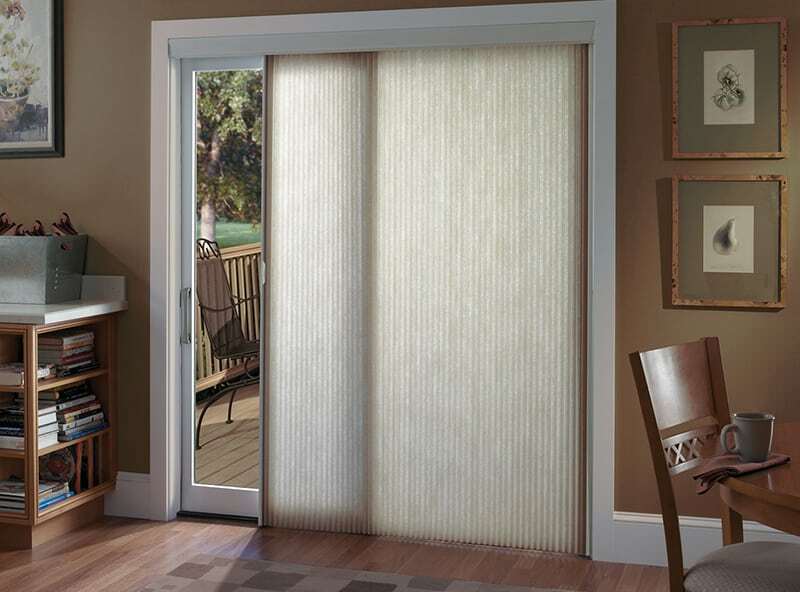 These sliding window treatments are ideal for over doors, wide windows and room dividers. 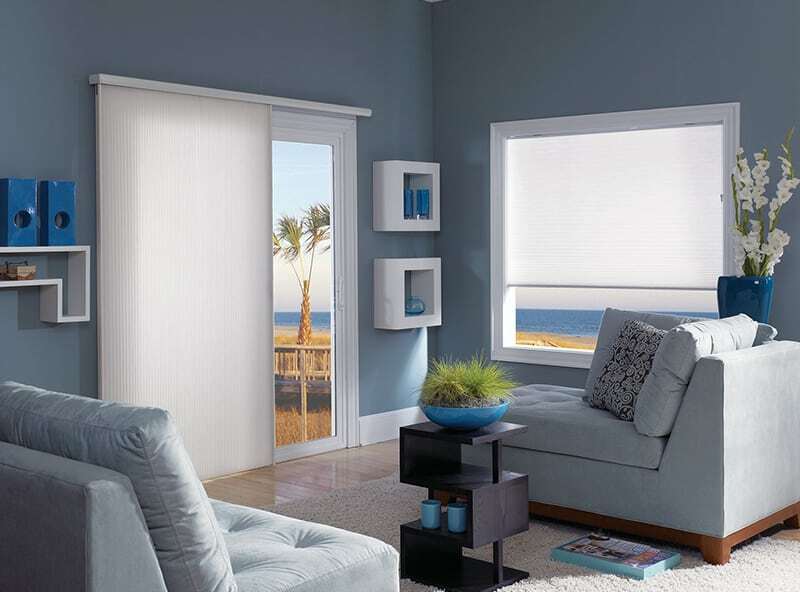 With a variety of stacking options and a sleek valance.Our Cellular Slider Vertical Shades can work in any room! 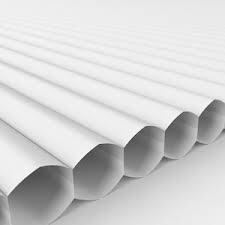 Also known as honeycomb construction, the cellular construction of the Cellular Slider provides insulation for your home. This insulating layer provides year round comfort and helps to reduce energy costs. Cellular fabric slides smoothly side to side along a horizontal rail. The proven roller hardware is exceptionally quiet and keeps the pleats perpendicular with the floor. The sleek Ovation™ valance matches the white aluminum head rail for a polished, clean look. The Cellular Sliding System does not have any exposed cords, wands, or chains, making it child and pet friendly. Our Brand Cellular Slider Shades have been Certified Best For Kids by the Window Covering Manufacturers Association (WCMA). The sleek Ovation valance matches the white aluminum head rail for a polished, clean look. • Measure the exact width (left to right) of the wooden or metal window frame (outer edge) OR how wide you want the product to be.A good rule of thumb for this product is 2 inches past your molding width. • French doors-you always have to figure the opening exposure and be sure you extend the width so the doors can open to their fulliest.